OMG! A week-aversary post that’s actually on time!!! These Littles will all be moving up to a bigger ‘grow up’ coop soon (hopefully by next Saturday. Today, I thought we’d play a little game of “Hen or Roo.” i took the best pics I could given I was the only one around this morning to take them, and the chicks were lively. Leave a comment and tell me what you think they are, little hen, or little roo? Personally, I think #1 is kind of obvious. 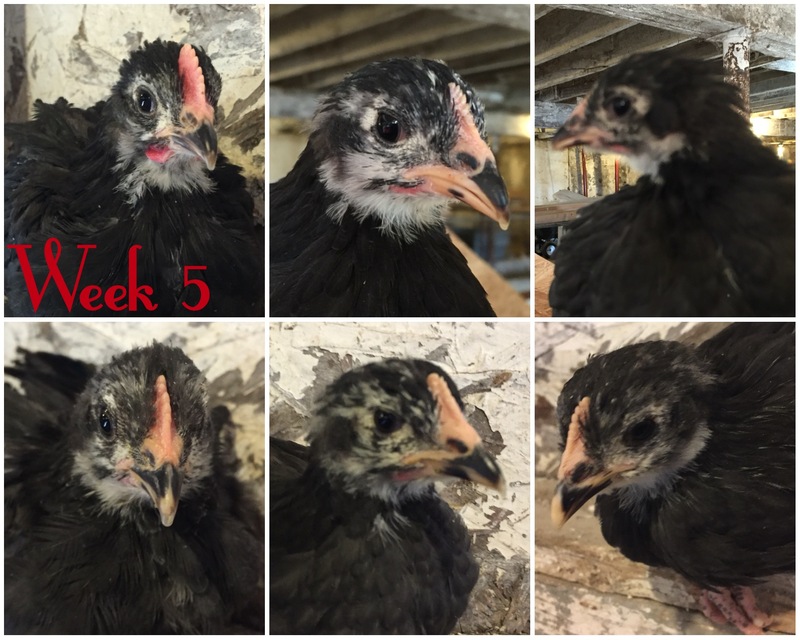 Australorps – 5 Weeks – Hen or Roo? 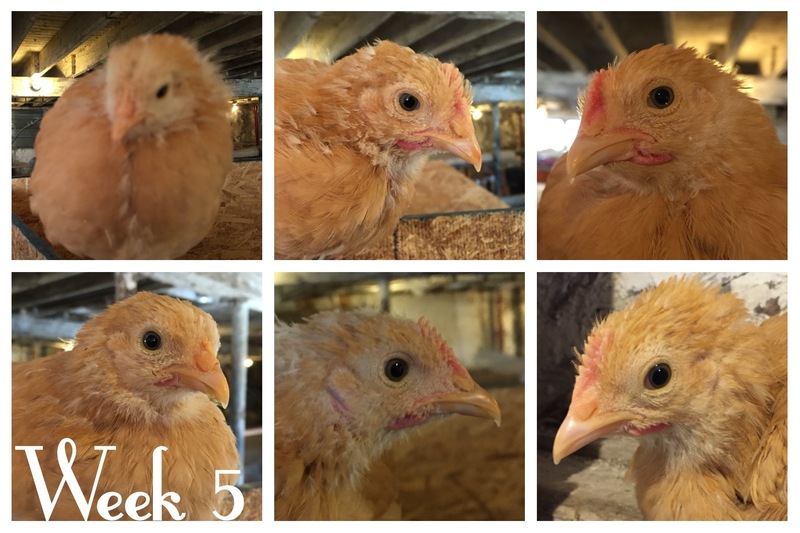 Buff Orpington – 5 Weeks – Hen or Roo? Leave your guesses in the comments. The answers will be revealed as soon as I figure it out myself! The buff ones concern me. I was hoping for more of those to be hens. But every time I look at them, I think I either have 3 or 4 boys. I have 2 of the Orpingtons who play fight and go head to head a LOT, so I am guessing they are boys. They are all beautiful birds, though. Replying again to add, were the Australorps you raised very flighty it skittish as chicks? Ours are. I have a hard time picking them up/petting them because they get scared easily and won’t hold still. I’d say #1 & #9 are Roo’s, the rest look like ladies to me. Can’t wait to find out!!! I hope you’re right! I am so hoping to get more girls out of these! I reckon #1 and #9 are roos too! Not that I have any experience with chicks. 😛 Time will tell how the others develop. It’s just a long, fun game hehe. Definitely a long game. I wasn’t sure in Pip until weeks 15 & 16. But he looked so much like his mother it was hard to tell at first. I don’t know hen or roo but they’re all super cute. And I’m glad you liked my 1020 Art post…as you can see I love chicks too! There turned out to be 6 roosters out of the bunch. One of them was so beautiful I found him a home so I didn’t have to put him in our freezer. Wow, amazing photos of chickens. Keep it up!